Things are looking up. Way up. At The Kip District, everything is connected. Landscaped mews will link five modern towers which encircle a lush park, the centerpiece of this contemporary, master-plan community. This space encourages relaxation. Meet old friends and new neighbours, walk your dog or discover a quiet corner to read the weekend paper. The Kip District is an enclave; a community within a community. A home to be proud of. And The Kip District Phase Two Condominiums is just that. Rising up on the Etobicoke skyline, each side of the glass facade is decorated with balconies and terraces, showcasing expansive views of the city. Thoughtfully-designed and well-crafted, The Kip District Phase Two combines sophisticated form with elegant angles worth looking up to. 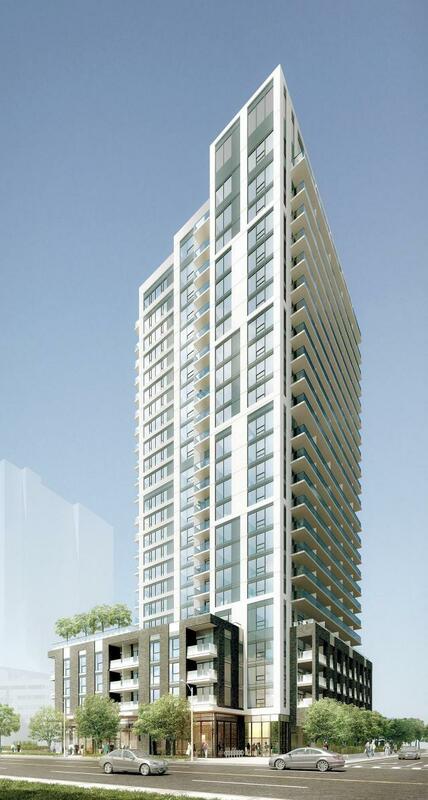 The Kip District, Concert’s exciting new community at Kipling and Dundas, offering residents five sleek towers connected by soaring views and a dynamic central square. Explore the vision of The Kip District in the heart of Etobicoke by Concert.